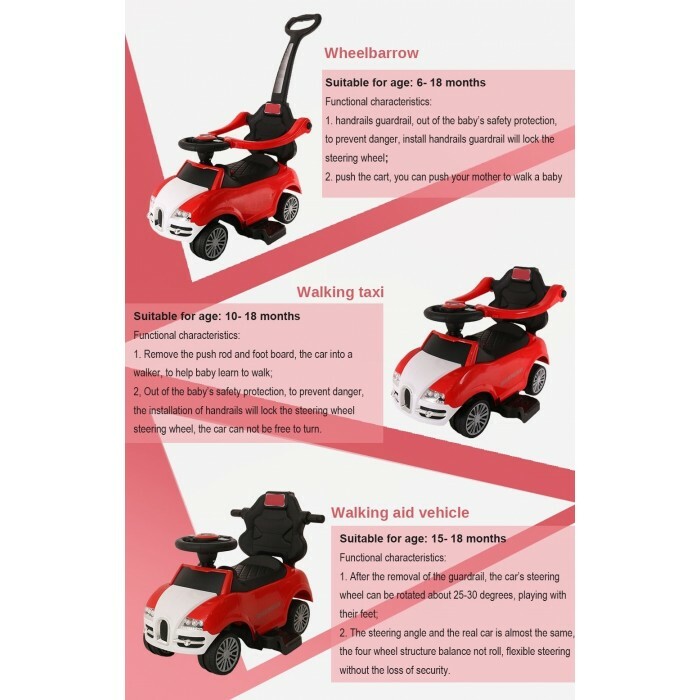 This push car can be used a stroller, a walking car, and a riding car that is perfect for children ages 1-3. 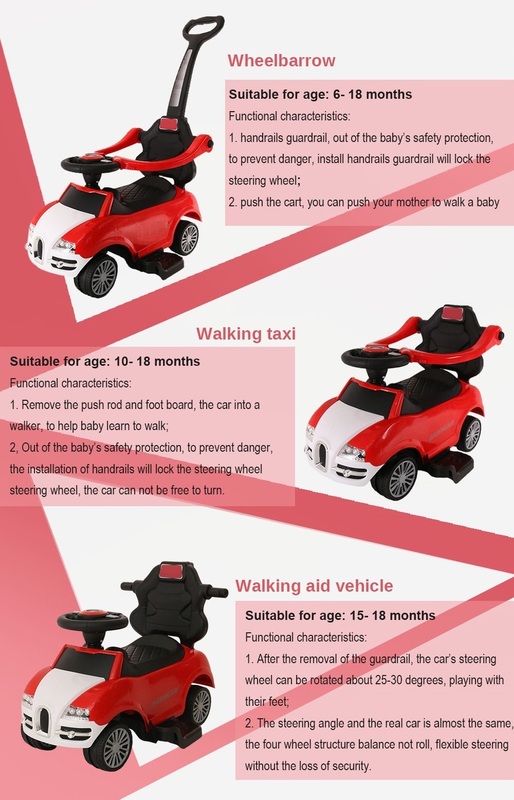 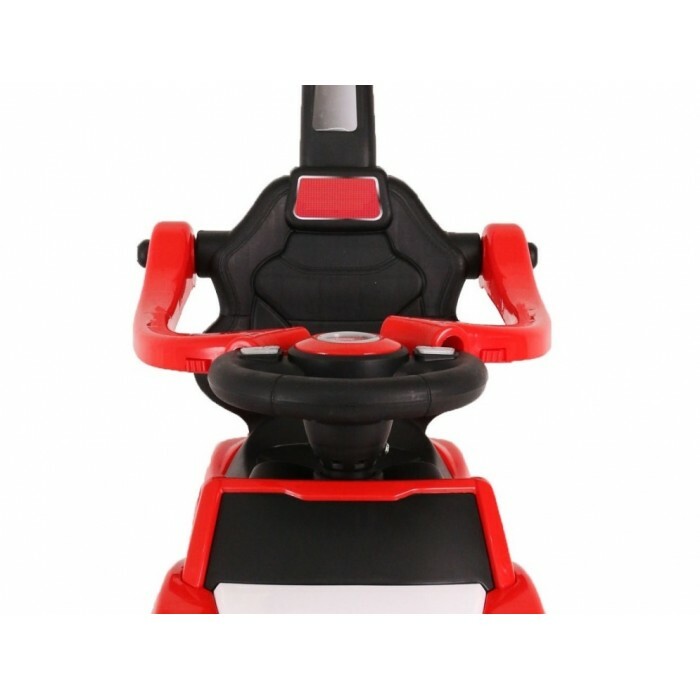 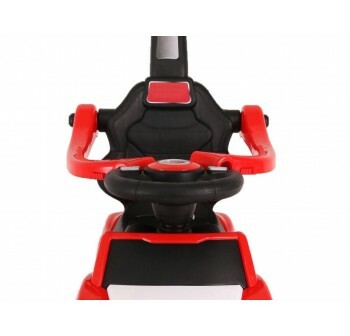 The versatility of this push car provides dynamic fun for developing children. 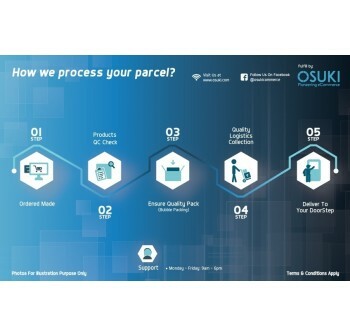 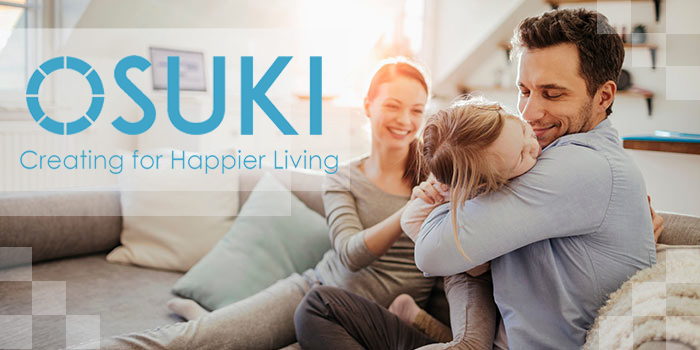 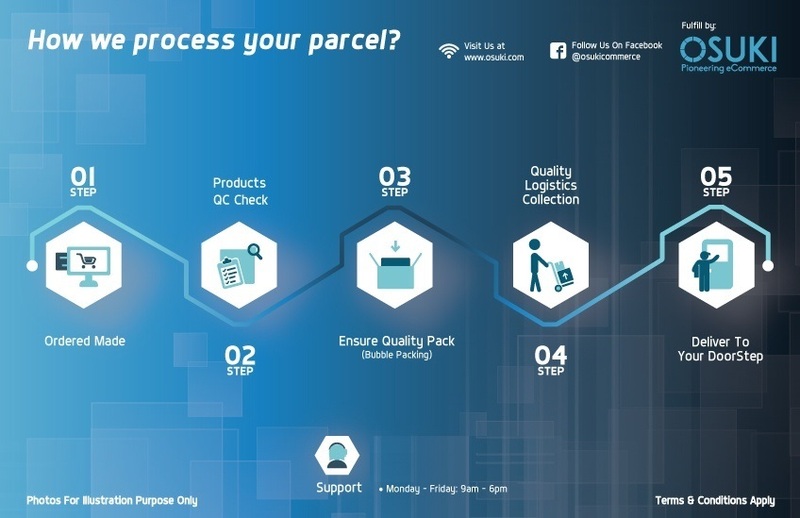 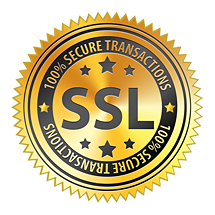 Several great features are provided to cater to their senses. 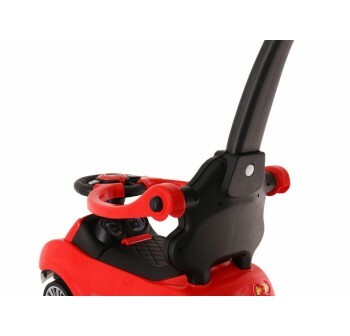 It is a vibrant red with eye popping decals. 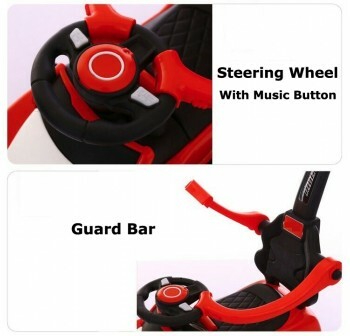 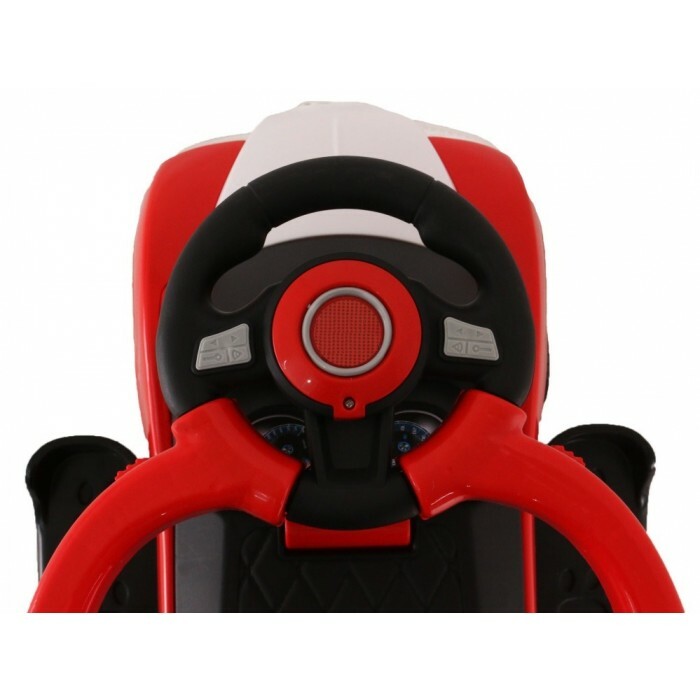 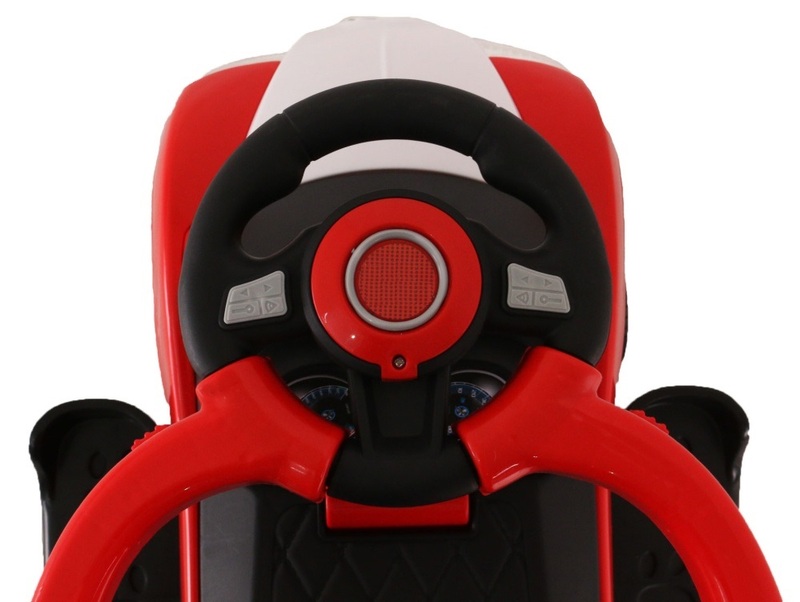 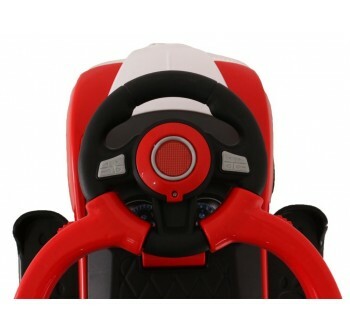 Featuring a steering wheel with music. There is a handle that can be used for both pushing and pulling. 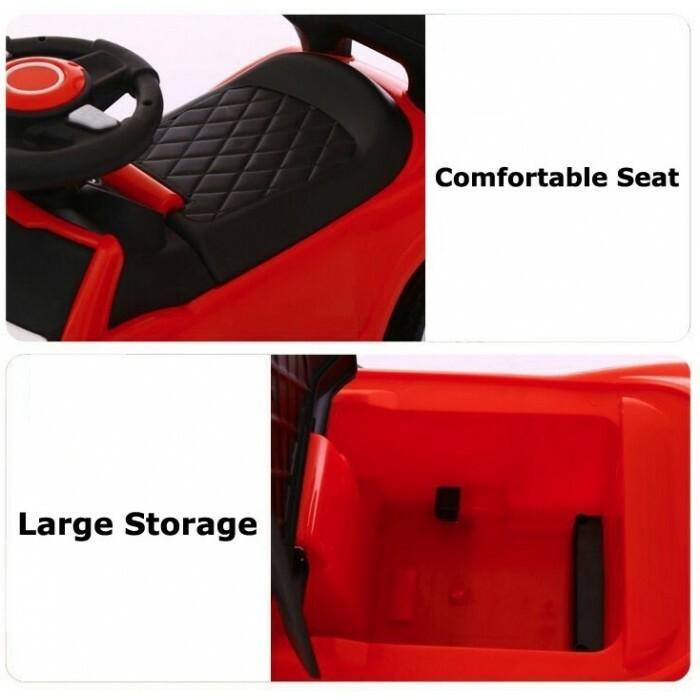 A compartment underneath the seat is provided for storage. 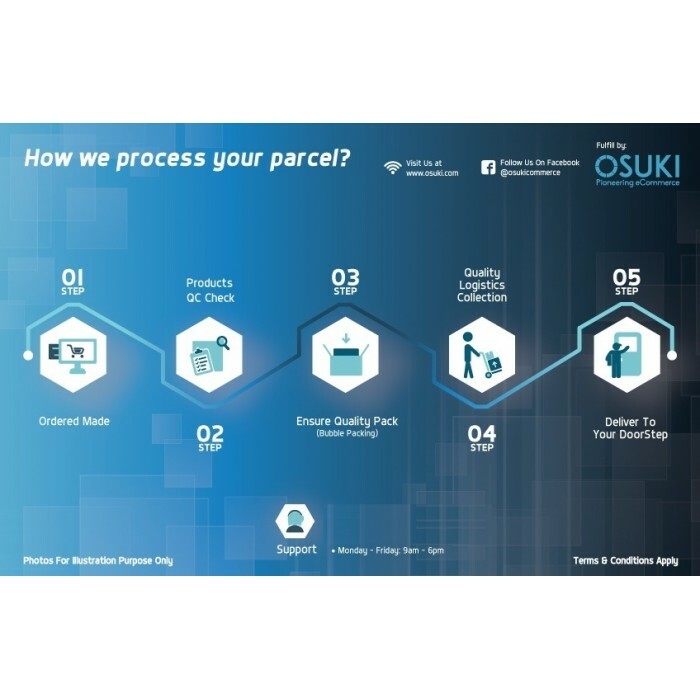 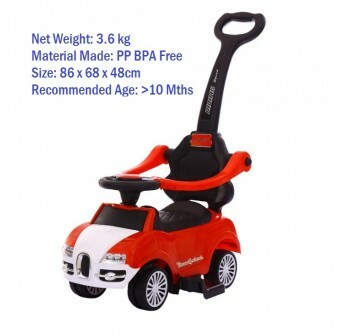 It is built of strong, durable plastic with a weight limit of 22kg. 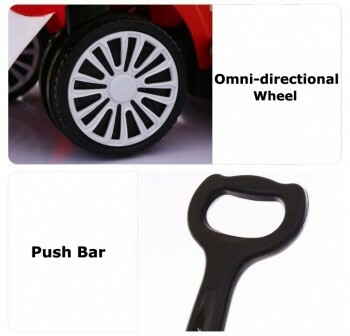 The push car is easily assembled. 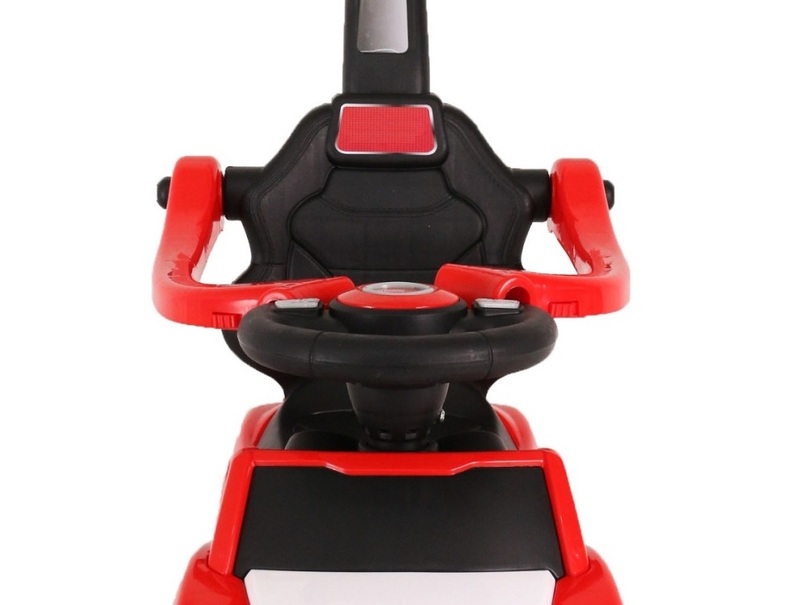 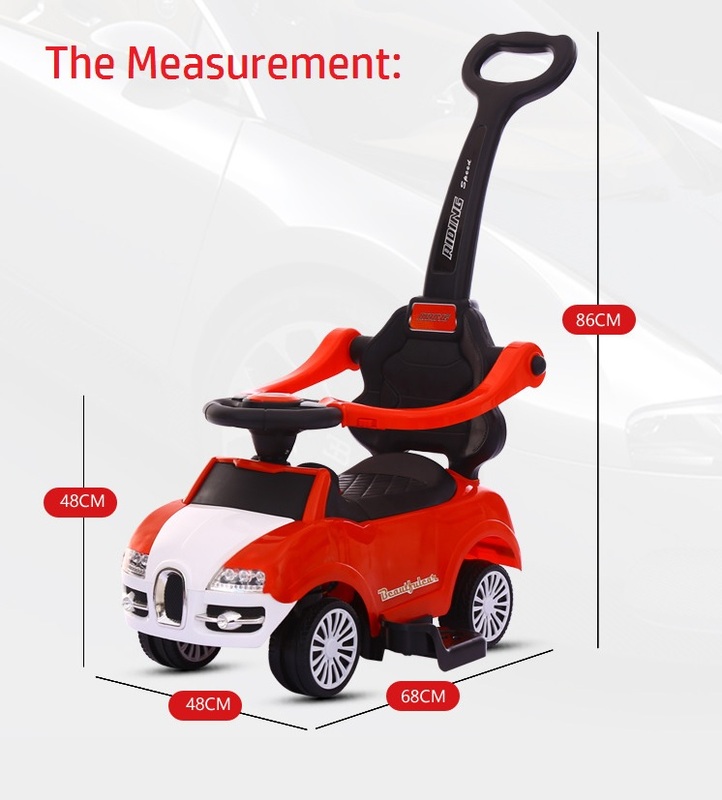 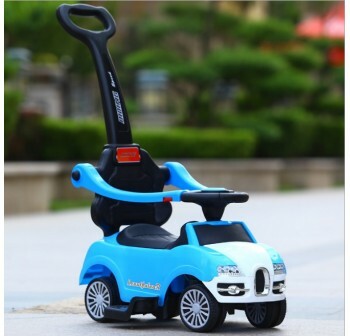 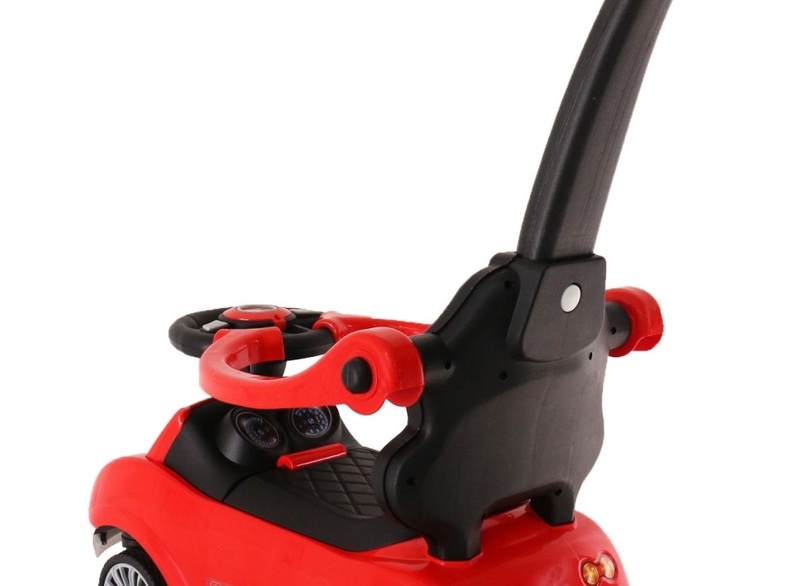 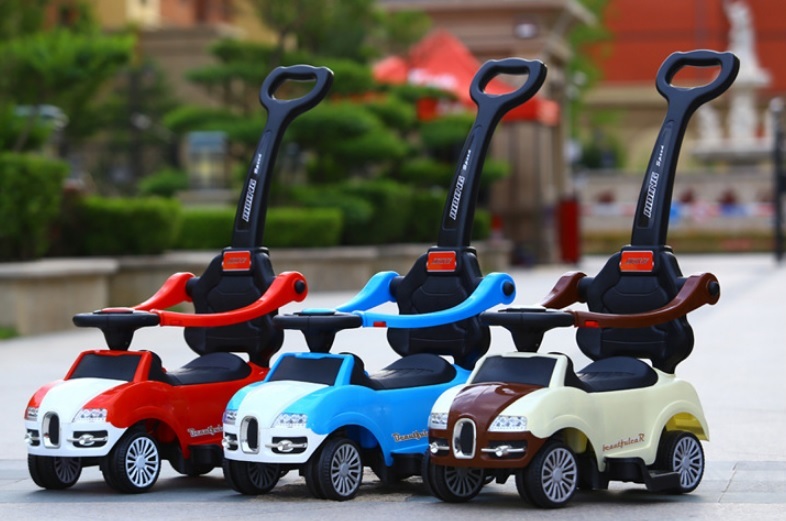 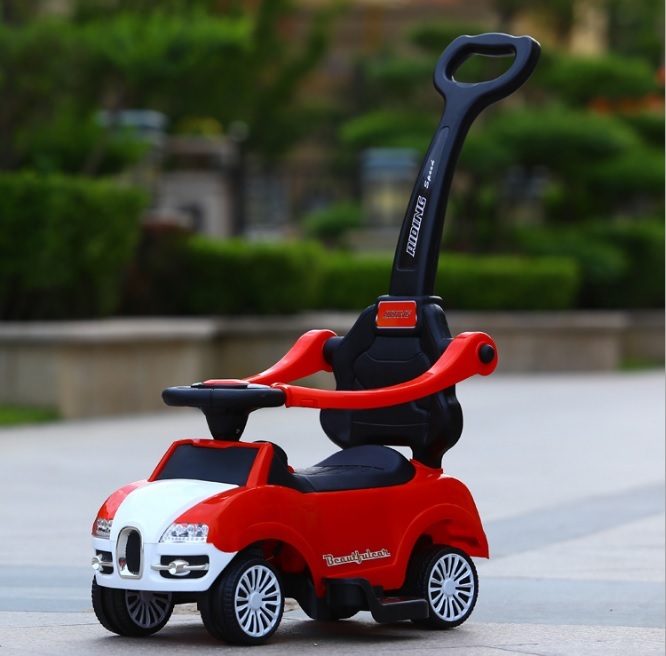 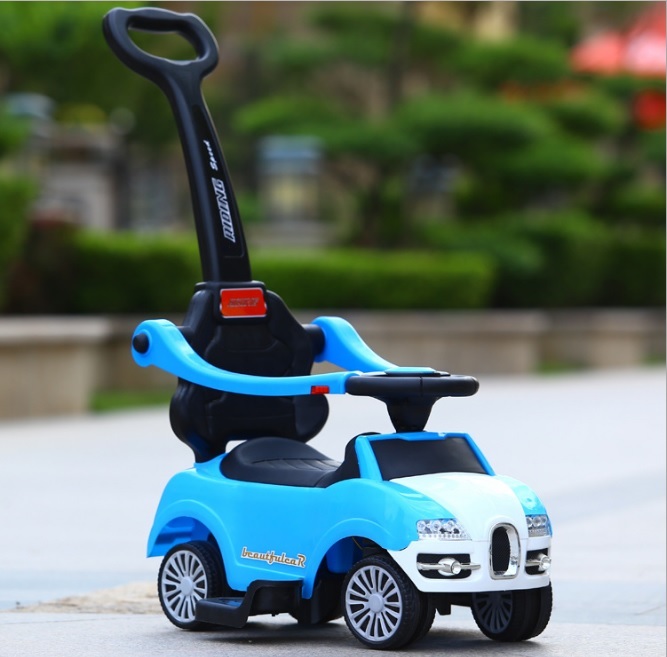 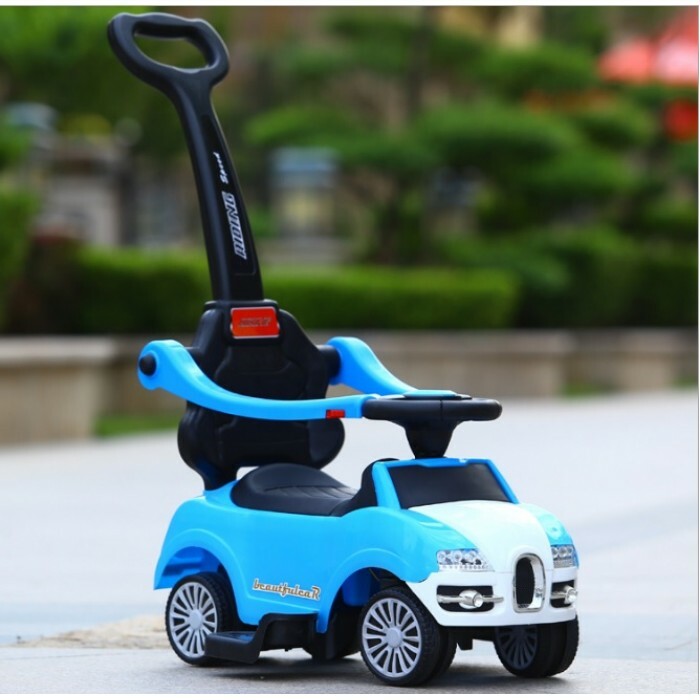 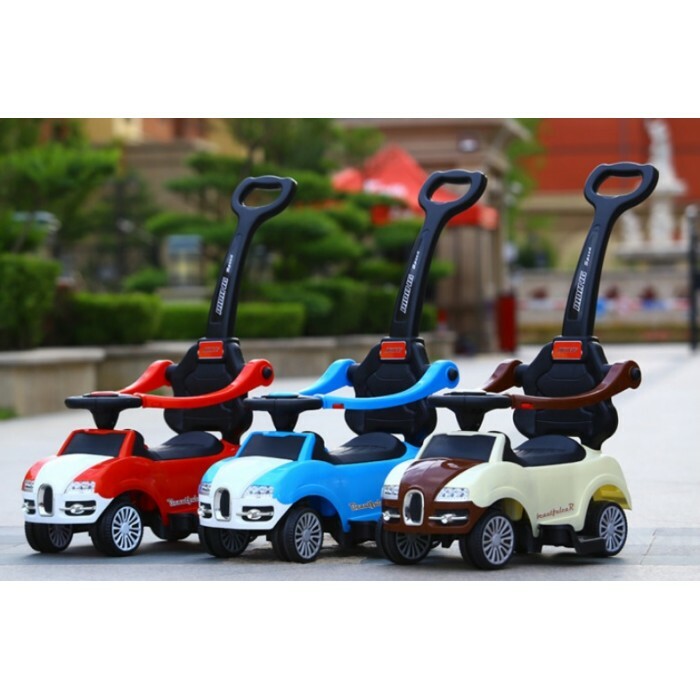 Every kid will definitely love this adorable 3 in 1 push car. 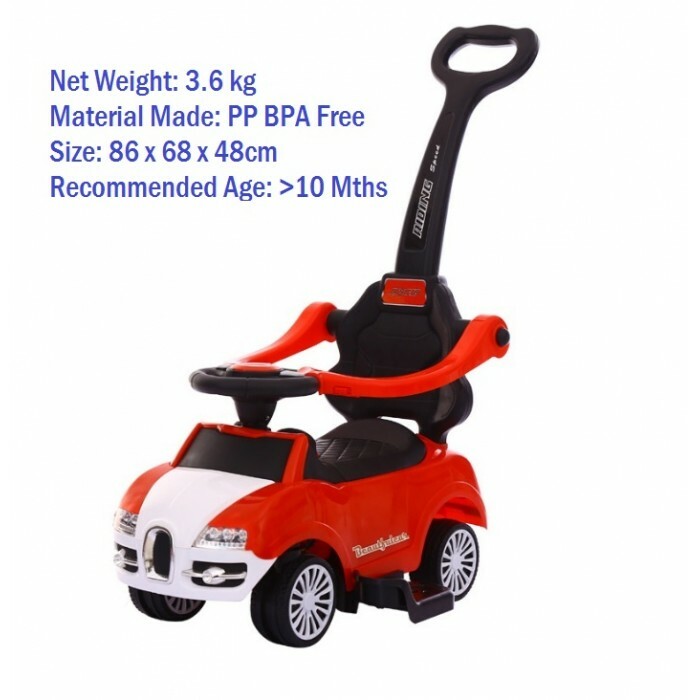 Easy to assemble strong plastic construction with a weight limit of 20kg.